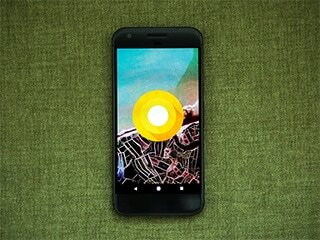 Android O was one of the biggest highlights of Google I/O 2017 this year, and to test waters the search giant has also released Android O in a public beta. The timeline for a public release is usually at the same time as the launch of the new Pixel device in October. However, a new tip hints that the current Pixel devices will be the first to receive a stable update to Android O, as early as August. Android Police’s David Ruddock tweeted this information claiming that the Google Pixel and Google Pixel XL will be the first to receive Android O. The update will be rolled out in the first or second week of August, ahead of Nexus devices. This is way in advance from last year’s rollout timeline as well. This isn’t to say that Nexus devices won’t be receiving an update, but only a little later. Ruddock claims that he got the information from a reliable source but we recommend you to not get your hopes up until Google announces it officially. Other smartphones that are confirmed to get the Android O update, whenever it arrives, include the Nokia 3, Nokia 5, Nokia 6, and OnePlus 3, OnePlus 3T. Users wanting to try the new operating system can do so by enrolling in the Android O beta. Do keep in mind that you’ll need to have an eligible Google smartphone. Currently, the only supported phones for the Android O beta are the Nexus 5X, Nexus 6P, Google Pixel, and the Google Pixel XL. Android O brings along redesigned settings, notifications, quick toggles, picture in picture mode, and much more. Check out our first impressions right here.